In my wife's reignited path toward achieving a teaching degree she enrolled in an Intro to Literature program at the local college. One of the categories in this intense 10-week class featured three dramas to read and comment on - Oedipus, Antigone, and Bill Shakespeare's Hamlet. The loving and dedicated husband that I am, I aided my wife by watching the Kenneth Branagh-directed version of the play on DVD. I still find Hamlet one of Shakespeare's best, and Branagh did an excellent job in modernizing it to show all of its romantic, comedic, and tragic sides. 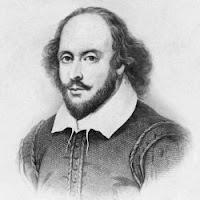 However, as the play slogged through its second hour and Hamlet had yet another 10 minute soliloquy on poor Yorick after Claudius and Laertes finished up a 20 minute discussion on revenge, I realized a very important fact about Mr. Shakespeare - that boy didn't know when to shut up. Every line is full of lament, every thought several paragraphs long and, when you think it's all over, you realize the characters are just taking a breath to continue on for several more pages. I wouldn't be surprised if playgoers in Shakespeare's time kept looking at their watches for some sort of break because they had to go to the bathroom. Yet, despite its chattiness, Hamlet still remains a classic, read regularly by eye-rolling teenagers and young adults alike. This got me to thinking about some of the other famous works of literature and how wordy they turned out to be. War and Peace, Atlas Shrugged, Les Miserables - they are constantly mentioned as classic works of fiction; however, I wonder how many people have gotten through them to the very last page. Even Hemingway's Old Man in the Sea, at a paltry 127 pages, seems like a very long episode of Seinfeld where little happens. I'm a minimalist writer by trade, relying more on conversation in my stories than elaborate detail, and this may be why I have a prejudice against these lengthy stories people have categorized as timeless. Sure, they can be entertaining once you dig into the meat of them, but getting to that part can be utterly frustrating. For now, I'll take the current practice of hooking the reader as quick as possible and, whenever I decide to pick up War and Peace, I'll just flip ahead to the good parts. Have you ever gotten through one of the lengthy tomes listed above? What is the purpose of literature, or writing, if you prefer? To tell only a story as simply as possible? When one talks to one's friends and relates some incident there is always a purpose behind the telling. It may be a bit of gossip or the exchange of information. On the other hand, one may wish to express some bit of philosophy or scientific point. Victor Hugo wrote not just about the absoluteness of the application of law but about its meaning to various individuals. He discussed the role of religion in the distribution of justice in society. A writer cannot do that in a minimalist way. It is unfortunate that we preach brevity and a shortness of attention when we need long meditation and deliberation about our beliefs, our problems, and our actions. It takes longer than the twenty or forty minutes allotted to a television script to contemplate the problems and understand various solutions to our problems of today. The 'instant' story is of little value outside of immediate gratification. I believe that there is room for all lengths and flavors of stories. I struggled through two semesters of Shakespeare in college and I'll admit -- that was a slog. But my nephew loves his plays. To each their own. God forbid we would narrow a writer's options and limit the word count. Write the story, I say,and let it decide! I must confess, the only time I've been really dedicated to reading Shakespeare is when it was forced upon me in high school. But a friend recently saw Branagh do Hamlet in person while in the U.K., and it made me start thinking it would be good to revisit those words on the page again.